These words of Archbishop Emeritus Desmond Tutu describe an ideal for life in community. When we provide a safe space for one another, when we encourage one another, when we find space to collaborate, we create community or, better yet, Ubuntu. We believe that a central place in striving for Ubuntu is the development and care for peace. 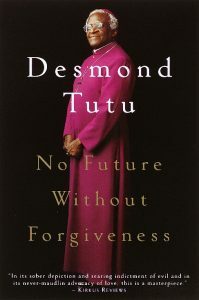 In 2000, Archbishop Emeritus Desmond Tutu started the Desmond Tutu Peace Foundation with a group of his friends in the U.S. and South Africa, to use his life and teachings to provide inspiration and education to young people. As one of only three Foundations that operates with the direct guidance of the Archbishop, and the only one in the Western Hemisphere, the overarching goal of Desmond Tutu Peace Foundation is to reach and teach one million young people aged 17-22 the practices and skills of Peace3 – Peace within oneself, Peace between people and Peace among nations. Young people have always been at the forefront of peace movements. Consider their role in ending the Viet Nam war or dismantling apartheid. The young people of today are the best hope we have for transforming cultures of war and violence into cultures of peace and prosperity. By providing young people with interactive and stimulating opportunities to learn about and embrace moral and ethical practices, we are more likely to see them engage in and foster the principles of non-violence, equality, compassion and integrity in their societies. At the Desmond Tutu Peace Foundation (DTPF) we seek to engage the community for good, for healing. The Peace3 program enables young people to be powerful, transformative agents of peace who contribute to their own wellbeing and that of others by working toward the cessation of the culture of violence that harms vulnerable individuals and groups. We want to equip them with the tools of community. 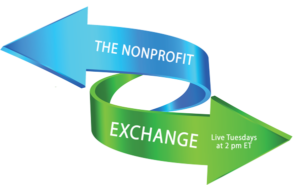 The Peace3 program itself is made up of a series of live and online experiences. This summer, we launched with a series of interviews featuring luminaries from a variety of backgrounds, all with one common thread: they have a practice for achieving inner peace and they use that peace within to make a difference in the world. To date, we have been so fortunate to count peace activist Scilla Elworthy, spiritual teacher Deepak Chopra, Nightline and Good Morning America anchor Dan Harris, and His Holiness the Dalai Lama as just a few of the people who have participated in this project. It is our intention to make our programs accessible throughout a variety of communities as we engender peace. In November, we are launching our first in a series of Conversations on Peace. These are live events held in partnership with colleges and universities that will focus on a topic related to peace, and involve experts in that area to speak with the students to increase the understanding. The first three conversations are taking place at University of Southern California in Los Angeles, Valencia College in Orlando, Florida, and Stanford University in Palo Alto, California. The Stanford and USC events will feature the Reverend Canon Mpho Tutu, the Archbishop’s daughter and Executive Director of the Desmond and Leah Tutu Legacy Foundation; she will speak on the topic of race as it relates to peace. The Valencia College event will be welcoming Nyaniso Burris, the Archbishop’s granddaughter and a rising young leader for peace. We recognize through experience that if we are really serious about an issue, it is important we talk about it in community. Too often we find that community is not being acted out publicly in trusting environments with people who care. To better understand the importance of race as it relates to peace, the events will feature leaders from each campus as well as local experts in the community as a way to encourage dialogue and growth. Thanks in great part to our technology partners, we will be able to broadcast a live stream of each of these events via our website, the site of the college/university, and through our YouTube channel. In an effort to increase our reach, we will be hosting Twitter Town Halls in conjunction with each of these events so that we can involve people across the country and around the globe in the discussion. Peace does not happen without action, though. As such, one of our primary goals is to inspire young people to action. In conjunction with our campus partners, we are creating ways for young people to go out and work to create peace in their communities, and to share their knowledge with others. The goal is to make this scalable. Our first campus partners were selected both for having exceptionally motivated student bodies, as well as their being so diverse from each other. Our feeling is this will help us to create programs that will scale, no matter what the campus type. Throughout our exciting Peace3 program, we have maintained that philosophy of Ubuntu – I am, because we are. This is most evident in that we are working closely with the other two organizations founded by Archbishop Tutu, with our many campus partners, and with luminaries, many whom have their own peace organizations. Our success is their success and their success is ours. So often, organizations can get so focused on their own missions that they feel threatened by the success of others. At the DTPF, we recognize the journey to peace happens only by engaging others to join us in the walk. What does this look like in your organization? How can your mission be strengthened by joining together with others? How can collective success be found in your community as you work together with other partners for good? Where do you pursue Ubuntu? What are the challenges that you seek to overcome? How are you enlisting your community, whatever that may look like and whatever geography that might entail, to join you on this journey of growth? It is by working together that we will achieve the most, and it is by working together that we can make this world a better place.